Infusing creams with traditional methods is usually done over low heat with the cream just barely at a simmer. This recipe shows you how to do it while making a flavorful cinnamon vanilla cream that is a great addition to milk shakes. It also can be gelled into panna cotta or whipped cream. 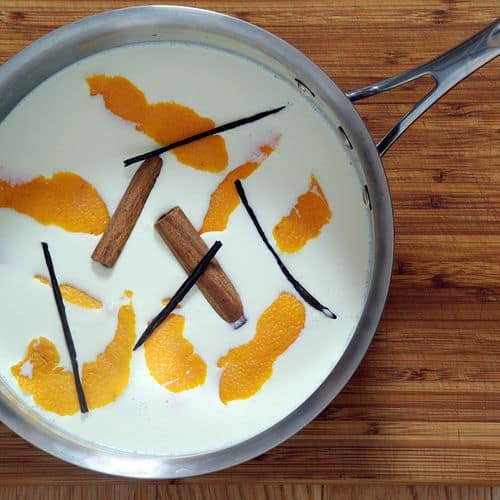 If you would like more information about the modernist techniques, ingredients, and equipment used in the orange cinnamon vanilla infused cream recipe you can check out the following. Lightly scrub the outside of the orange then remove the zest with a vegetable peeler or zester. Make sure little to no pith came off as well, using a paring knife to remove any. The orange pieces can be reserved for garnishing the drink. Combine the orange zest with the remaining ingredients in a pan and bring to a bare simmer. Let simmer for 5 minutes then remove from the heat, cover the pot, and let cool. Once cooled, strain the cream and store in the refrigerator until using. 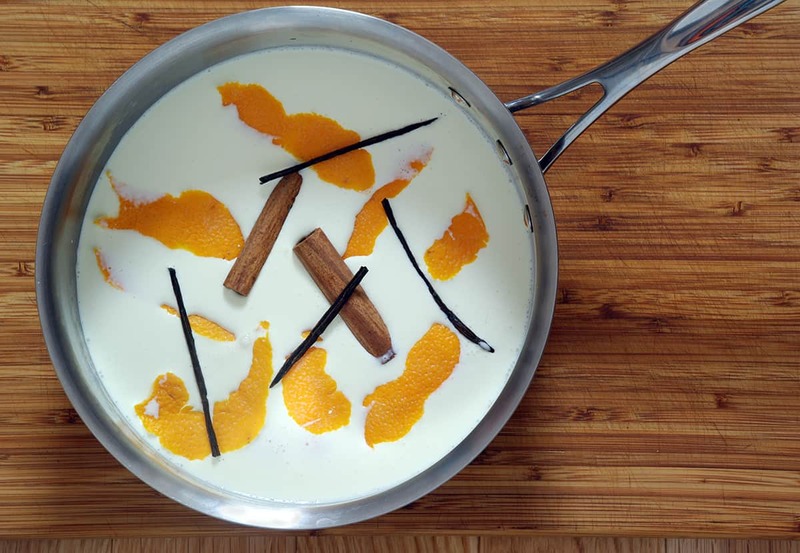 This recipe shows you how to infuse a flavorful cinnamon vanilla cream with traditional methods. It makes for a great addition to milk shakes, gelled into panna cotta or even whipped into whip cream!